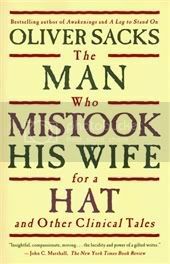 The Man Who Mistook his Wife for a Hat is a collection of short essays—case histories, one could call them—about people afflicted with all sorts of neurological ailments. The passage I cite above summarizes why I loved this book: because these essays are human, sympathetic, insightful and personal. Sacks never writes about these people with pity or condescension. On the other hand, it also explains why I didn’t enjoy this quite as much as An Anthropologist on Mars, which I read earlier this year. Because the essays are shorter, there isn’t as much room for these people’s stories to deepen, and for readers to truly gain a sense of who they are as individuals. But regardless of which book I prefer, the fact is that I love Oliver Sacks. Let me tell you why: he is, as I said above, extremely sympathetic, and always very, very human. But at the same time, he’s not one of those people who go on about The Evils of Modern Science—he truly appreciates science, and he knows there’s nothing implicitly or necessarily dehumanizing about it.Reading his books is getting the best of both worlds: he doesn’t even try to be detached, but he his science is spot on; he uses current terminology but also blurs the lines between “function” and “dysfunction”; he’s aware of how complex and unique people actually are, but also of just what their brains can do (or fail to do). Furthermore, he’s very much aware that there’s nothing “reductionist” (a term I detest) about thinking of people’s experiences in terms of brain functions. Doing so doesn’t minimize or dismiss who they are as people in any way. But let me tell you a bit about the essays themselves: a great many of them made me want to wear a helmet at all times, because it’s seriously terrifying to think of how frail our brains really are, and of just how much could go wrong. Except, of course, that a helmet would do no good, because many of these problems come from within. The most frightening was possibly “The Lost Mariner”, the story of a man stranded in 1945: he doesn't remember a single thing that happened after that, and, at sixty-something, believes he's still nineteen. There was a horrifying and moving scene in which he looked into a mirror, and...well, in this case, it was a blessing that he forgot the incident a few minutes later. Anyway, anterograde amnesia is one of my greatest fears - even more so than retrograde amnesia. I don't want to minimize how awful the second kind must be, and I guess that if you lose all your memories, you become a different person - but that's the thing. You can build a new identity from that point on (except, sadly, in cases like Alzheimer's, of course). But with anterograde amnesia, nothing you experience will ever stay with you again. And that's almost the same as never experiencing anything ever again. “The Disembodied Lady” was also worrying and fascinating: it's about a woman who loses her proprioception, her sense of her own body. Which is one of those things most of us take for granted, but whose disappearance proves catastrophic. “Cupid’s Disease” is about a ninety-year-old who gains a new vitality due to syphilis, which she was infected with in her youth - and the most interesting thing is that she's grateful for the effects of the disease. Finally, “Reminiscence” was perhaps the most fascinating of them all. It's about a woman who begins to hear songs she knew in her childhood in Ireland in her head, as loud and clear as if they were coming from a radio. I believe that Sacks explores these cases in more detail in his book Musicophilia, which I definitely need to get my hands on. ...it never occurs to us at first that a vision might be ‘medical’; and if an organic basis is suspected or found, this may be felt to ‘devalue’ the vision (though, of course, it does not — values, valuations, have nothing to do with etiology). No, they absolutely don't. There isn't such a thing as "only" in your head. Let me conclude this by emphasizing just how fun, readable and accessible these essays are. If you're thinking that this book sounds intimidating, please don't. You definitely don't have to be an expert to have a wonderful time with it. ‘Only connect’—but how could he connect, and how could we help him to connect? What was life without connection? ‘I may venture to affirm’, Hume wrote, ‘that we are nothing but a bundle or collection of different sensations, which succeed each other with an inconceivable rapidity, and are in a perpetual flux and movement.’ In some sense, he had been reduced to a “Humean” being—I could not help thinking how fascinated Hume would have been at seeing in Jimmie is own philosophical “chimaera” incarnate, a gruesome reduction of a man to a mere disconnected, incoherent flux and change. And who could have dreamed that in this blind, palsied woman, hidden away, inactivated, over-protected all her life, there lay the germ of an astonishing artistic sensibility (unsuspected by her, as by others) that would germinate and blossom into a rare and beautiful reality, after remaining dormant, blighted, for sixty years? If we wish to know about a man, we ask ‘what is his story—his real, inmost story?’ for each of us is a biography, a story. Each of us is a singular narrative, which is constructed, continually, unconsciously, by, through, and in us—through our perception, our feelings, our thoughts, our actions; and, not least, our discourse, our spoken narrations. Biologically, physiologically, we are not so different from each other; historically, as narratives—we are each of us unique. I just read The Housekeeper and the Professor, which I believe is about the type of amnesia you're talking about (the main character retains nothing after 1975, has an 80-min short terms "window"). That's really, really scary. I agree, that's even worse than losing everything. I think I fear memory loss (ala Alzheimers) more than just about anything. Give me death by dismemberment! Give me death by shark attack! Just don't take away my memory! My grandmother had Alzheimers, so it all hits close to home. I'm wondering if this book would turn me into a hypochondriac!!!! I didn't realise this was a collection of essays. I have a copy here somewhere, but assumed it was a straight novel. You make it sound really interesting - I'll have to dig it out! An absolutely fascinating read. I haven't read any other Oliver Sacks though. The title hooked me! I've read reviews of Sacks' work before (though I can't remember where), and your review has just increased my curiosity. Oliver Sacks' books are always fascinating. I still have yet to read the one everyone's heard of, Awakenings, but it's coming my way this week from Book Mooch! Have you read that one yet? Don't worry, Nymeth! I think one of the pitfalls of reading books like these is that while the stories they relay are really interesting and weird (so make for good stories), they probably don't emphasize how rare most of these neural disorders really are. Also, in an attempt to highlight the crazy things that can happen when our brains "go wrong", they may overlook the fact that the human brain is actually remarkably plastic and resilient, and while not every sort of brain trauma can be overcome, we're generally very good at adapting and coming up with other ways of making the rest of our brain pick up the slack if certain parts give out. Those stories do sound horrifying, yet engrossing at the same time! I have wanted to read this book since...forever. Sacks writes regularly for "The New Yorker" and I always love the interesting topics about which he writes. I've also wanted to get myself a copy of "Musicophilia," which I heard is good but not as good as this one, which I think is his best-known book. Great review as always, Nymeth! Whoa! I didn't realise there were so many different afflictions to the brain. Alzheimer's scares the hell out of me.Definitely a book that needs to be read. 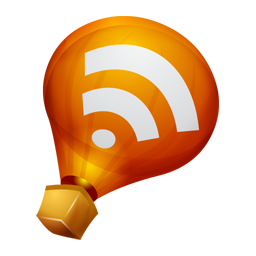 One of my favorite things about your blog is that you so often read and review books that would never occur to me and are completely out of my reading range, but sound so wonderfully compelling. Thanks for such a wonderful review. I have always thought that Alzheimer's is a heart-breaking disease, but clearly, it is only one of many. That is funny that we both reviewed a Sacks book today! It seemed Sacks referred to his others books frequently -- almost like Musicophilia was a topical collection of the stories about music. But this sounds fascinating too! I too am horrified at the amnesia he was talking about. I've never heard of him before, but this sounds really interesting! It's always super neat to read about the problems our brains can run into-- most times out of our own doing. I read this for the Medicine in Literature elective in medical school. When you're reading with knowledge of the various pathologies portrayed, the stories become even more interesting. I managed to get a free copy of this book as a library discard and still need to read it. Sounds like I will be fascinated and a bit scared all at the same time when I do read it! this sounds so interesting! they all sound good, especially Reminiscence. Great review. We gave Musicophilia to my uncle for his b-day and he's loving it. I still haven't read any of his books, though. Especially now that he seems to be popping up all over the place. This sounds really good. I've been more into neuroscience books since Boyfriend and I started dating because that's something he loves. I'm intrigued by this one (even though brain things are always sort of scary too!). The title of this is quite catchy! I love it. :-) And after reading your description of this collection of essays, I better understand where it came from. This sounds like a really interesting book. I like that it doesn't dehumanize his subjects nor writes about them with pity. I'll have to look for this one. Thanks for the great review, Nymeth. This was Sacks' most famous book, and I thought its fame was deserved when I read it years ago. The afflictions were so weird and as you say, he presents the people as individuals, so it was more than just a collection of medical essays; it really does become a collection of essays about how the mind works by way of how it sometimes malfunctions. I'm glad you're spreading the word about this one again! “The Disembodied Lady” was the one that really had me scared. and fascinated. A friend of mine lent me this book a few years ago, and it has sat on my shelf for all that time. I don't think that I really knew what the stories inside were about, but after reading your review I am going to try to make time for it soon. Some of these disorders sound very scary, but also really interesting. The amnesia stories sound particularly haunting. Amanda: That one's on my list! It sounds like an amazing book, but also incredibly sad. Jackie: I hope you find it as interesting as I did! Verity: This is only my second, but I'll have to look for more of his books. Hazra: I agree - it's a great title! Jeane: No, but I definitely plan to! Looking forward to your review. Steph: To be fair, he does mention they're rare and also our brain's plasticity, but reading so many of these cases one after the other caused my fear to get the better of me :P Thank you for the reassurance, though! J.S. Peyton: If I'm not mistaken, some of these were actually originally published in The New Yorker. Chris: You know, that actually makes sense. And I'm glad she was happy - these situations probably look much more terrifying from the outside, to the people who know or hear about the person afflicted, than they do if you're experiencing them yourself. I guess in that case you don't even quite realize what's happening - you live in the moment, so long-term concerns cease to matter. Still, it's scary to think about! Vivienne: It really scares me too. Fingers crossed that a cure is found. Aarti: Aw, thank you! That's what I love about bloggers: they make me pick up books I wouldn't normally glance at twice. Rebecca: I need to get my hands on Musicophilia soon! She: Definitely a perfect book for a psych major, yes! I actually first heard of Sacks when my psychopathology prof recommended him. Cara: I'll bet they do! Terri: What a great find! It's a bit scary, but like Steph was saying we have to keep in mind just how rare these things are. Naida: Reminiscence was awesome. I had no idea something like that could even happen. I love Oliver Sachs! Such fun reading. I think he still has one I haven't read yet, too. I'll have to make the time to read it at some point. softdrink: I think Musicophilia will be the next book of his I read. Kim: They are! But also so fascinating. Jeanne: Exactly! That's what makes it so great. Zibilee: It was haunting, but then again so were the others :S There's so much that can go wrong. Fortunately, it rarely does! genius, wit and charm mr sacks never fail to inform and entertain. I've had this one on my list for ages and ages - sounds like I should try to get to it soon! It's funny, but while I was in graduate school I all but completely stopped reading nonfiction except for class-related books, because I needed the break that fiction offers, I guess. But now that I'm finished, I find myself turning back to it again. This one sounds like a perfect choice!